Going to Disney for the first time? There is so much you will want to know when planning your Disney vacation! Just because it’s your first time at the park doesn’t mean you shouldn’t know the Disney World tips and secrets that regular annual pass holders know. Let us take some of the guesswork out of things for you by sharing 20 of our most popular Disney World tips. These are things that you will want to know before you go to the parks! 1. Snap a picture of the parking lot marker to remember where you left your car. The parking lots are large and the last thing you want to do is lose your car! 2. Disney Photographers will take pictures with YOUR camera/phone for FREE. Just hand them your camera and they will take a picture for you! 3. 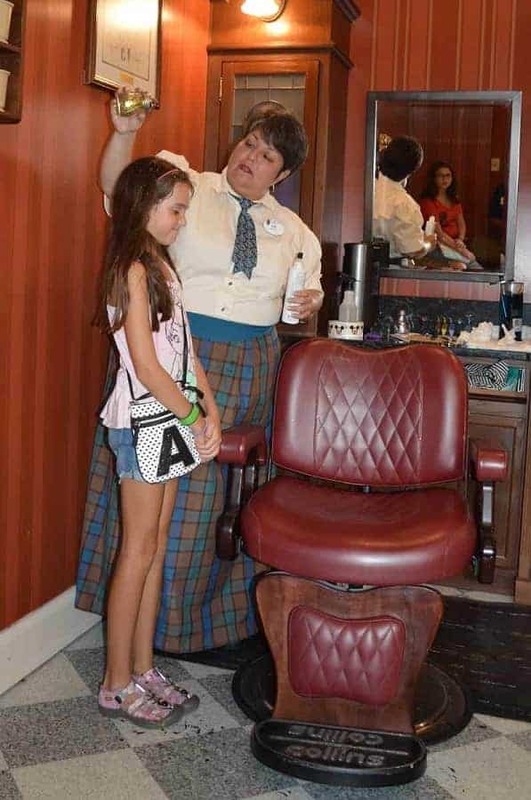 Get a free dusting of pixie dust at the Barber Shop on Main Street USA. As long as they aren’t too busy, just pop in the shop and request to be sprinkled with pixie dust. 4. Instead of standing in line for hours to meet your child’s favorite characters, choose a Disney character meal. You will pay a premium, but you avoid wasting time in lines and get one on one time with each character! 5. If you stay at a Walt Disney World resort, you can have your purchases from gift shops delivered to your resort. If not, you can have them delivered to the front of the park where you can pick them up (given that you shop early in the day). 6. Buy the cheapest Disney pin and then trade with Cast Members for the more expensive ones! You will find Disney pins at just about any gift shop at the resorts or parks. Just be sure to follow these pin trading tips! 7. Get to Magic Kingdom before the park opens for the Welcome Show at Cinderella Castle. It is a great way to start your Disney trip. 8. You CANNOT bring selfie-sticks to the parks so leave them at home (otherwise they will take them at the gate). Don’t worry, you can get them back. They will keep them at guest services for you to grab on your way out of the park. 9. One of the best Disney World tips I can give those of you who aren’t travelling with kids is to utilize the single rider lines. Not all rides have them, but the ones that do will make your line time minimal! 10. One of our most popular Disney World tips is the ride swap. If you are travelling with little ones that can’t ride a ride, ask for a kids swap. One adult rides while the other waits (at the front of the line). Then they swap places for the second adult to ride. 11. 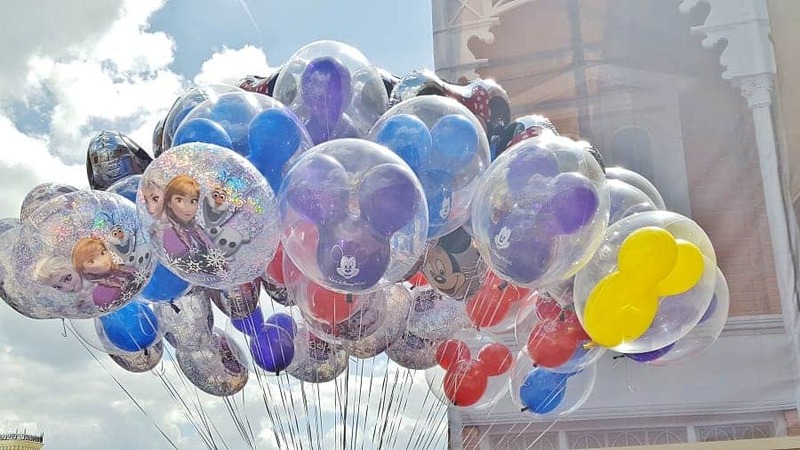 If your kids pop their Disney Balloon, they will replace it for FREE. Just take the remains of the balloon with you. 12. Adults can eat off the kids menu at quick service counters. You can order whatever you want and Disney doesn’t care! A lot of times, the kids meals are just the right amount for adults. 13. Disney Visa card holders get special perks, like FREE photos, discounts at some restaurants & % off your purchase at gift shops! I love this card! 14. Disney World gift shops stay open 1 hour after the park rides are shut down. It is the best time to shop because there are hardly anyone inside. 15. You can get a complimentary cup of ice water for FREE at any quick service counter. Disney wants you to stay hydrated! 16. You can order food a la carte on just about any quick service menu. Just ask when you place your order and they will accommodate. 17. 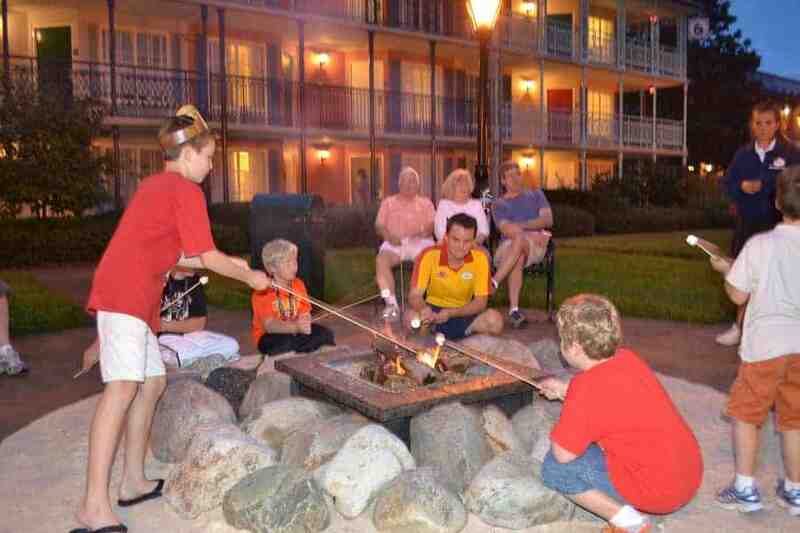 Just about every Disney World resort does a FREE campfire in the early evening where you can roast marshmallows. They also have FREE Movie nights! If you are paying to stay on property, you should take advantage of these fun activities. 18. Parking is FREE at Blizzard Beach & Typhoon Lagoon. Parking is free everywhere else only if you are staying at a Walt Disney World Resort. 19. You can walk right through the center of Cinderella’s castle. You will find some beautiful mosaic murals telling her story. 20. As you walk into Haunted Mansion, look for the Headstone for Leota right near the entrance to the mansion. Watch it carefully. We hope these 20 Disney World tips and secrets will help you navigate the parks with ease and give you knowledge on things you might not already know about when it comes to Walt Disney World! 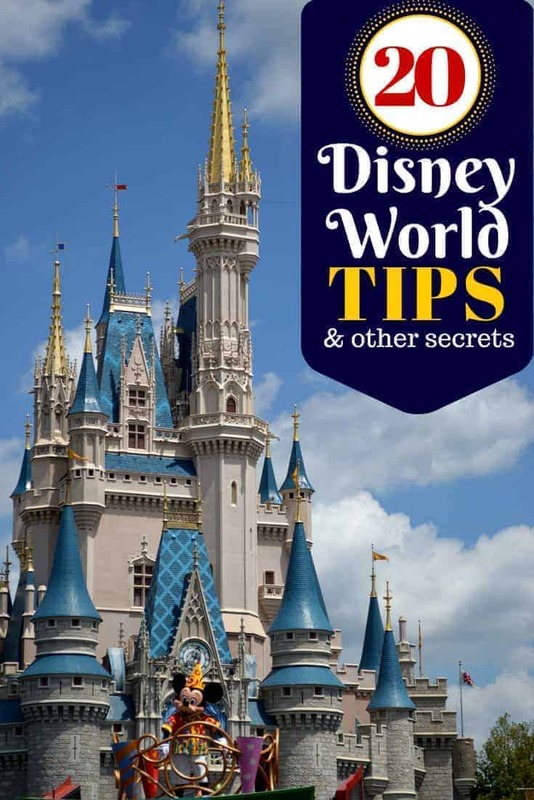 Looking for Disney World Secrets? We have those too! I love your tips! So glad a friend introduced us to it, as we are taking our first trip yo Disney in a few weeks! If parking is free at the water parks, can you take a shuttle to the other parks? Parking is free at Water Parks. The bus service to resorts does run at the Waterparks as well. In order to get to another park would require more than one bus transfer. Thank you! I definitely learned a few things. Going to Disney in February. February is one of our favorite times to go to Disney! You should have a fabulous time with lower crowds.